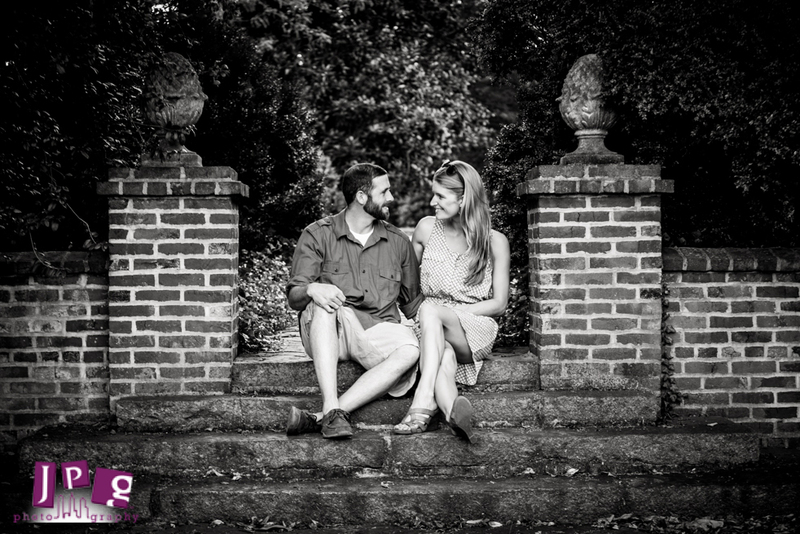 Luckily for Jess and Allen, they only live a short walk to the historic section of Odessa, Delaware, which worked perfectly as a beautiful backdrop for their engagement session! The 18th century buildings, large colonial garden, and the wealth of brick and cobblestone served as a great location. 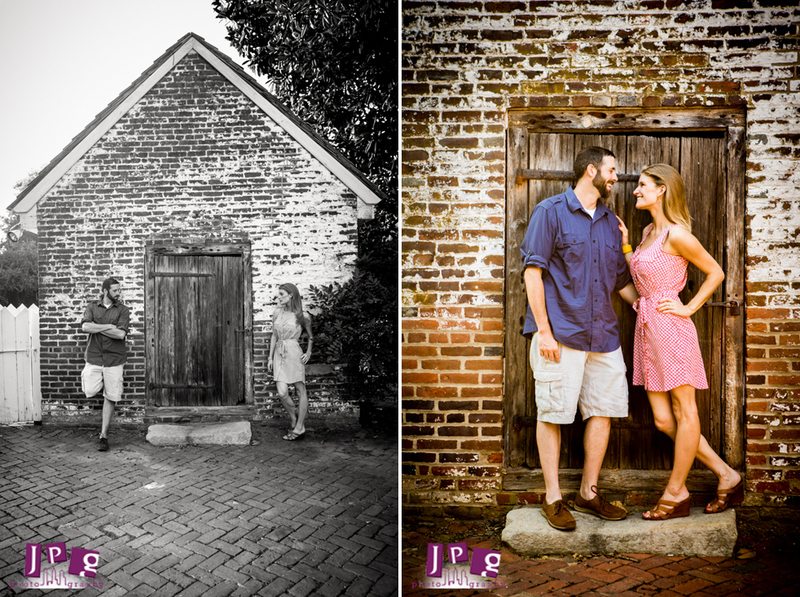 After starting off the shoot at Jess and Allen’s home, we had a great time exploring around the historic area. As the sun started to fall, we closed the day with some photos in their backyard by their pool, which was an amazing spot to play around with some reflections in the water! Congratulations on your engagement Jess and Allen! We at JPG are so excited for you, and we cannot wait until the wedding!